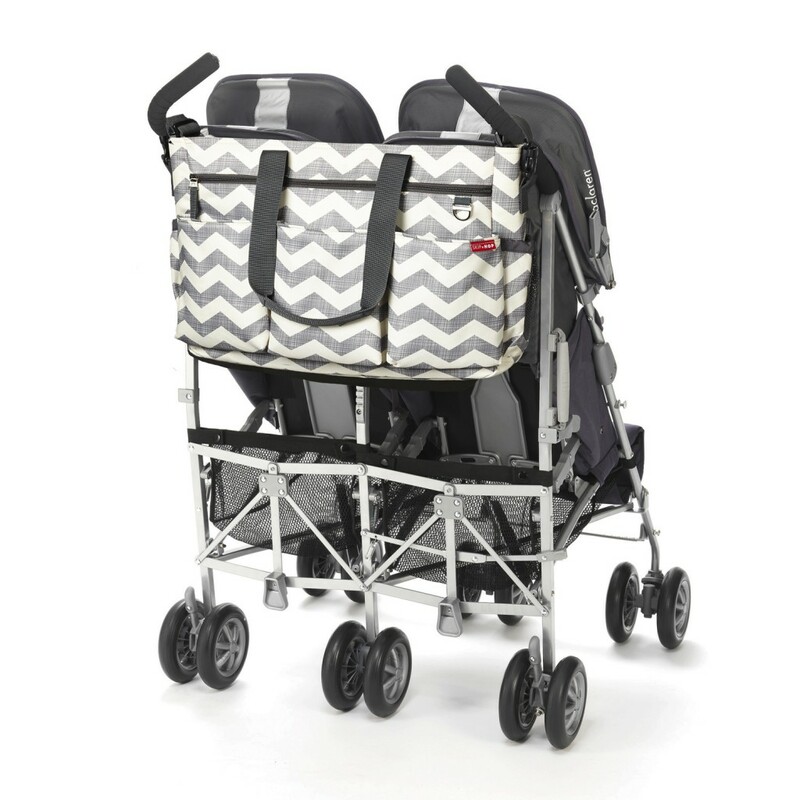 The Duo Double Signature changing bag from Skip Hop is the only stroller bag designed for use with a double (side-by-side) stroller. 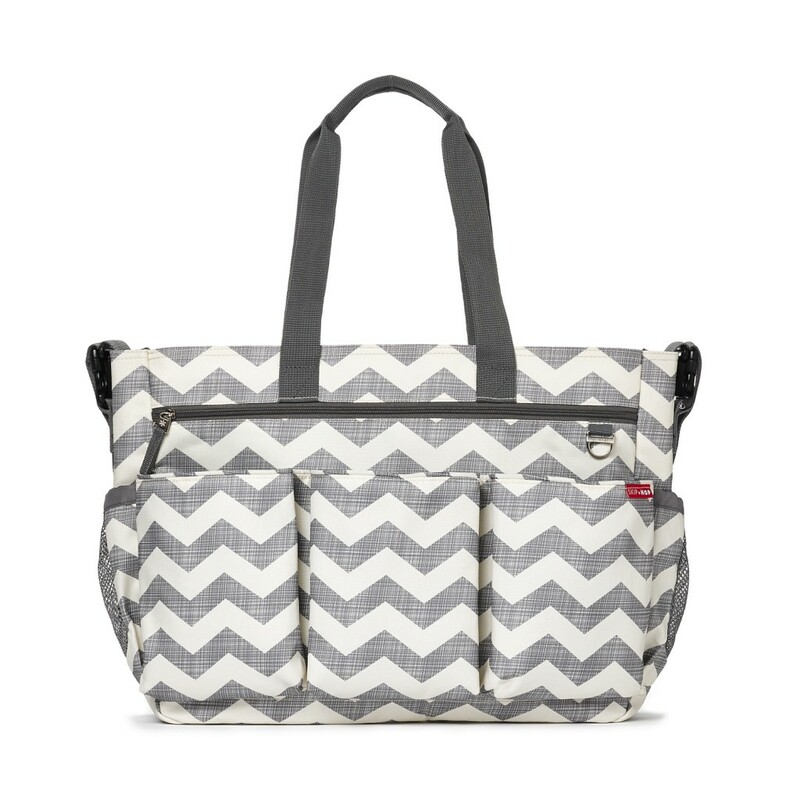 With all the fabulous features and same styling as the iconic Duo Signature, the Duo Double features 16 pockets and is large enough to hold everything you need for a day out with two children. 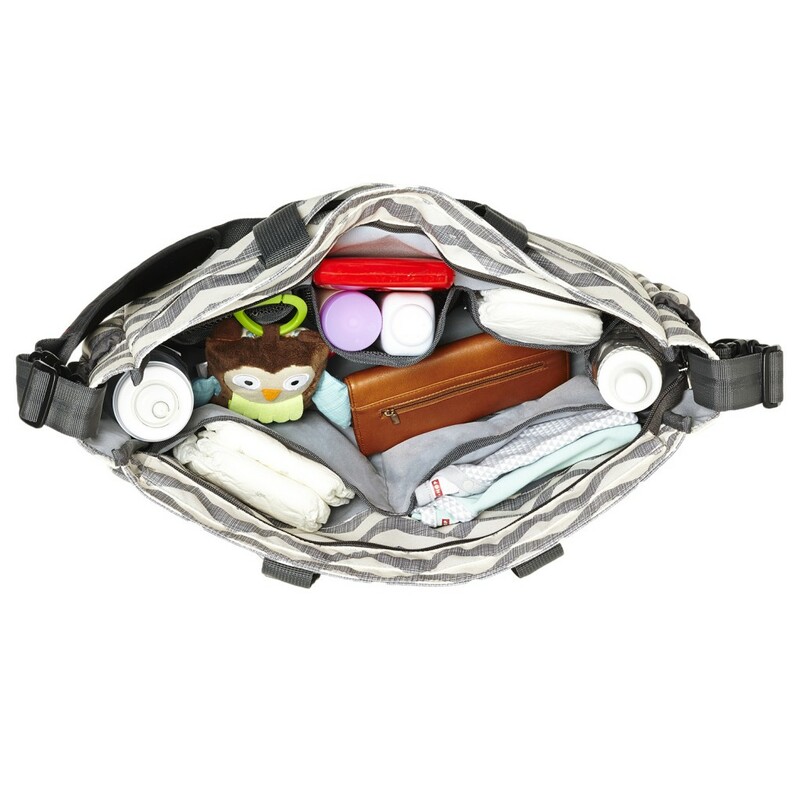 It can be carried by either the tote straps or messenger strap and the patented Shuttle Clips also allow the bag to attach neatly to the handlebars of a double pushchair. Perfect for when you're dealing with double trouble!